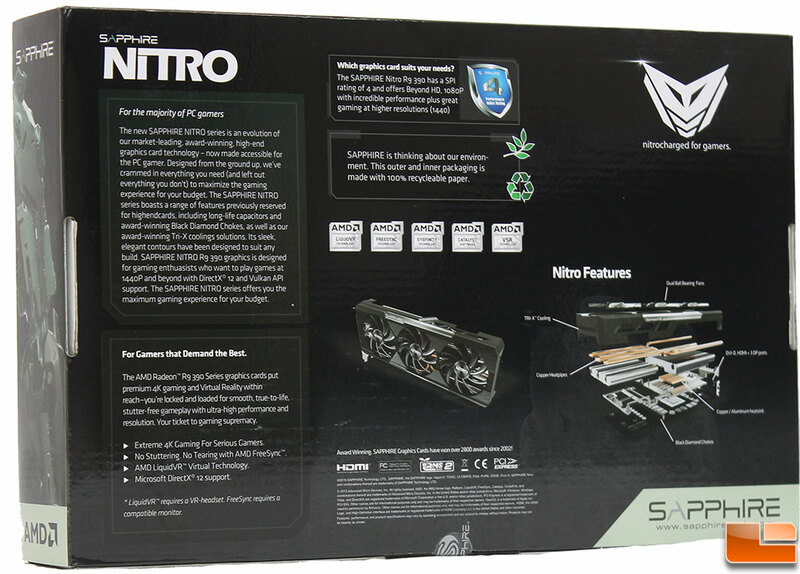 The box for the Nitro 380 is pretty basic, calling out the main features that the graphics card provides. Such as the 4GB of GDDR5 memory, support for 1440p gaming, Dual-X fans, and being Overclocked. 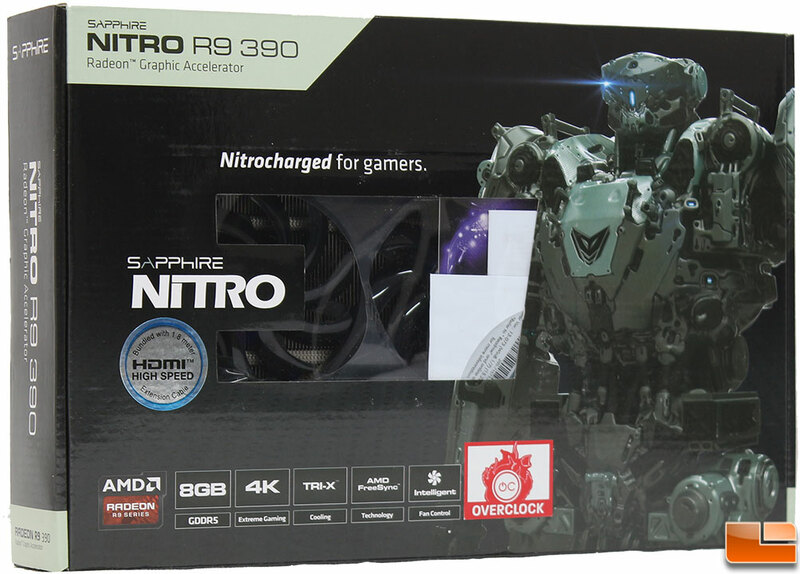 The back of the box doesn’t provide much detail, just calling out a little of what Nitro offers, focusing on offering what the majority of PC gamers want; and pointing out it receives a 3 on Sapphire’s new performance scale; ideal for high quality gaming at 1080p. Internally, the card is packed in a foam block. The Nitro 380 comes with a driver disc, installation guide and a DVI to VGA adapter. 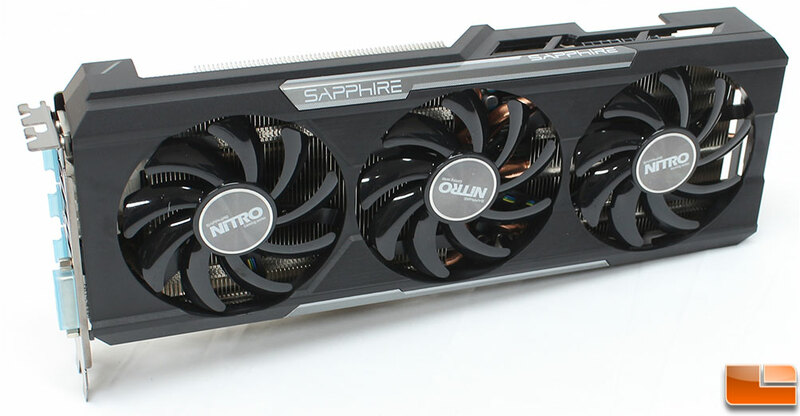 The Sapphire Nitro 380 uses a standard dual slot design, and follows the new Sapphire Nitro color scheme of being black with grey highlights. 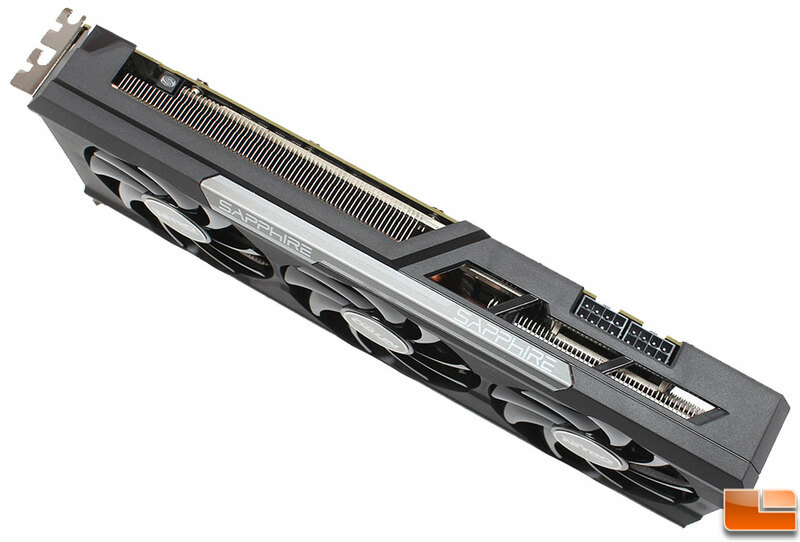 The Nitro 380 is 9.5inches in length, making it a little longer than a mATX motherboard; it should fit in most cases. 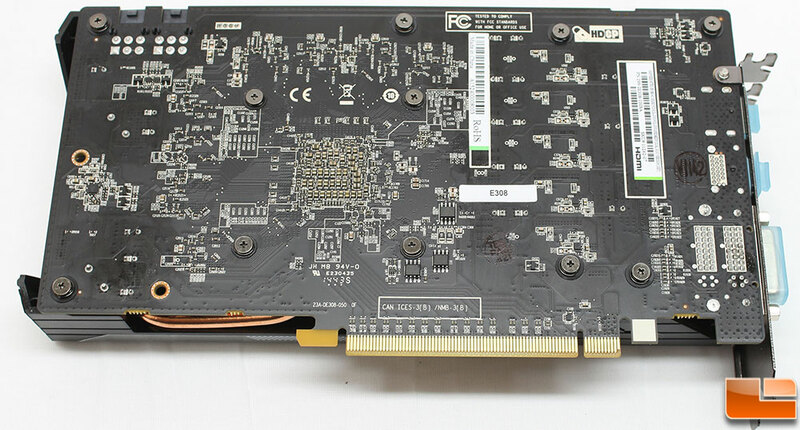 However, one word of warning, the PCB is about 3/4 inch taller than the expansion bracket, I have run into issues with certain cases (Corsair Air 240 comes to mind) that utilize tool-less brackets using video cards with PCB’s taller than the expansion brackets. 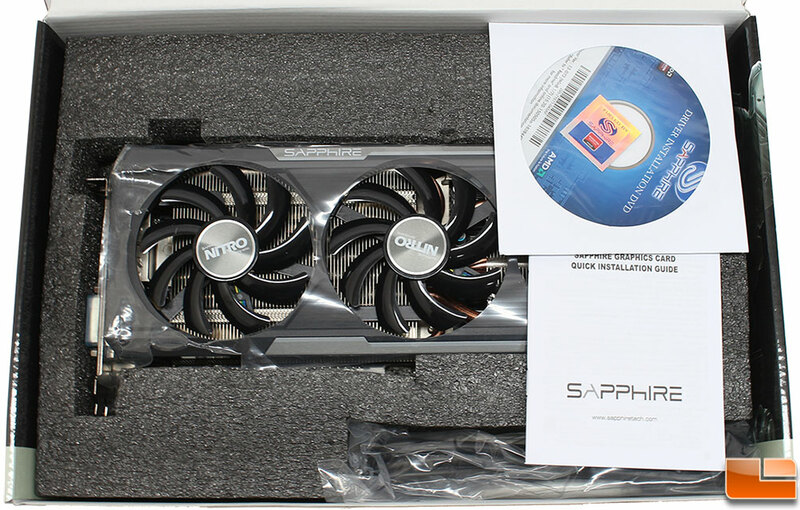 Cooling is provided by two 100mm fans, and four copper heatpipes that run the heatsink. For video connections, it includes one DisplayPort, HDMI, DVI-I and DVI-D ports. Unfortunately, as Sapphire has not provided the specifics, it’s rather difficult to tell which of the various specifications each of those ports utilize. Power requirements on the Nitro 380 calls for a 500W power supply with two 75W 6-pin PCI-E connectors. If you run the Nitro 380 in CrossFire mode, you’ll need an 800W power supply. There are no LEDs or anything flashy on the Nitro 380, it is designed to be a basic card manufactured with the premium components. 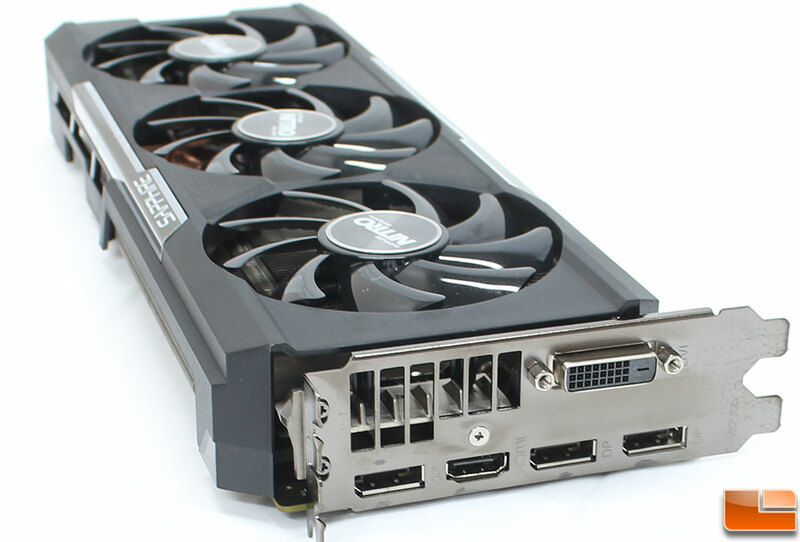 The Nitro 390 is packed exactly like the Nitro 380, the same type of information is provided. The differences are apparant from the front, 8GB of GDDR5 memory, geared for 4k gaming, Tri-X fans, AMD FreeSync and being Overclocked. 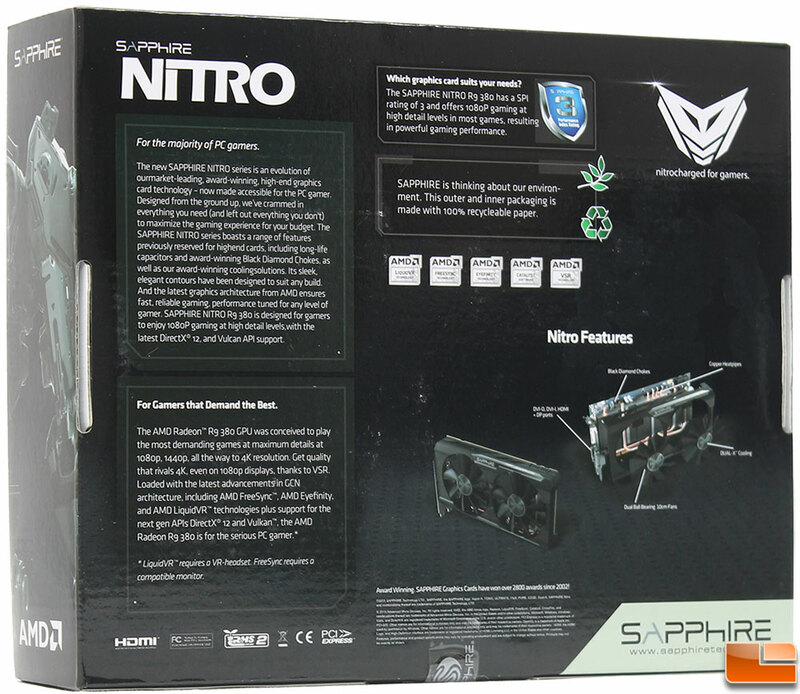 The back of the box doesn’t provide much detail, just calling out a little of what Nitro offers; we can see it receives a 4 on Sapphires performance rating scale; max quality gaming at 1080p, and high quality gaming at 4K. Internally, the card is packed in a foam block. 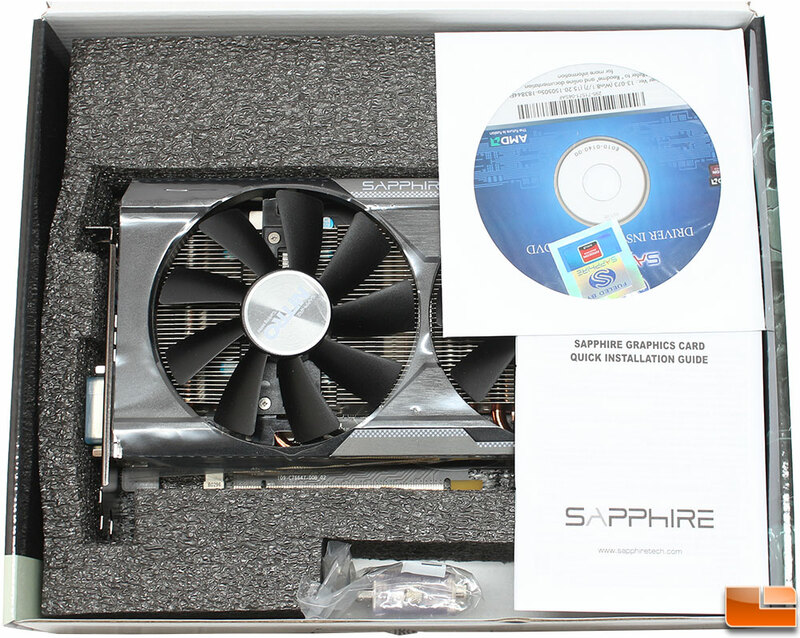 The Sapphire Nitro 390 includes a 6ft HDMI cable instead of the DVI to VGA adapter. 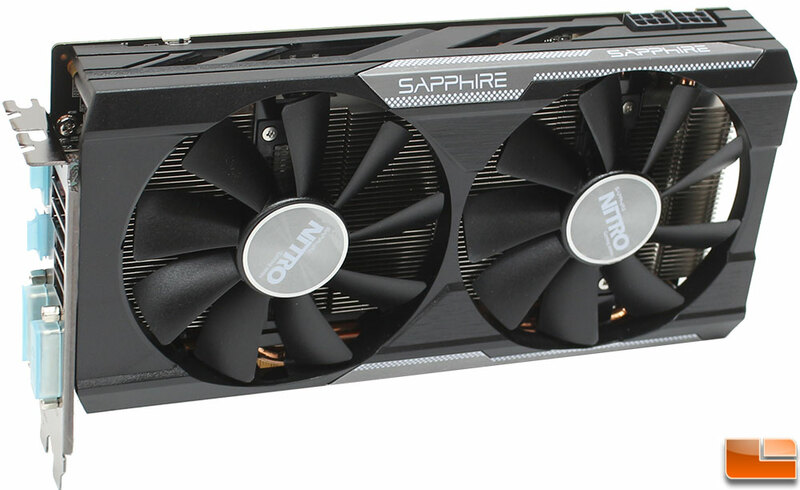 The Sapphire Nitro 390 also uses a dual slot design, and follows the new Sapphire Nitro color scheme of being black with grey highlights. 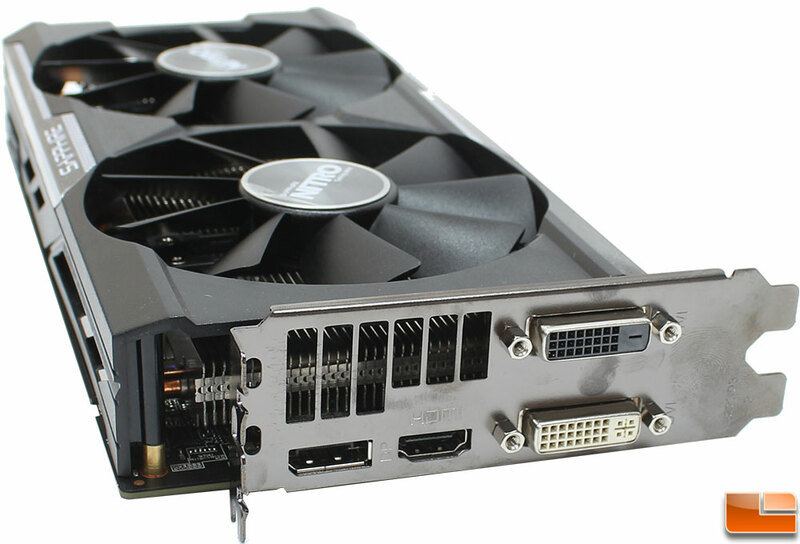 The Nitro 390 measures 12.25inches long, with the fan shroud extending 3/4inch above the expansion slot bracket. While the fan shroud is taller than the expansion slot brackets, it is angled, so it should provide some additional clearance for tool-less brackets that might otherwise run into the shroud if it had a squared corner. 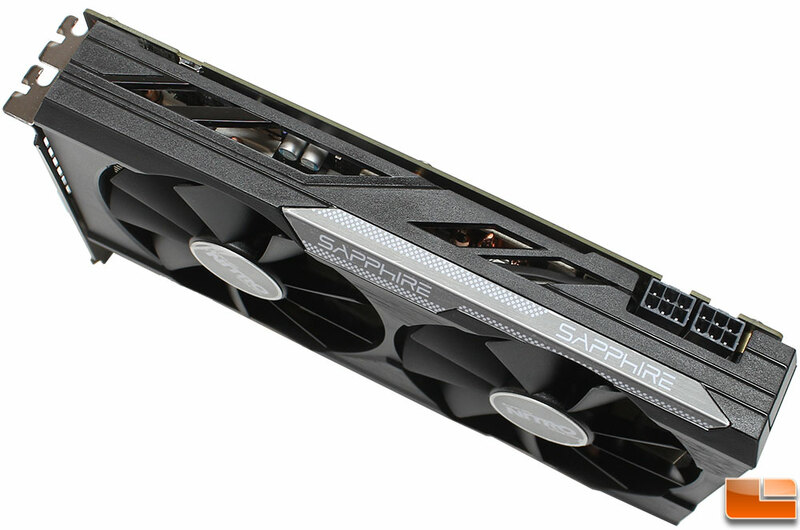 For cooling, the Nitro 390 uses the Tri-X cooling system with three 80mm fans. The heatsink has five copper heatpipes to aid in cooling. For video connections, it includes three DisplayPort, one HDMI, and one DVI-D video ports. Unfortunately, as Sapphire has not provided the specifics, it’s rather difficult to tell which of the various specifications each of those ports utilize. Power requirements on the Nitro 390 calls for a 750W power supply with two 150W 8-pin PCI-E connectors. 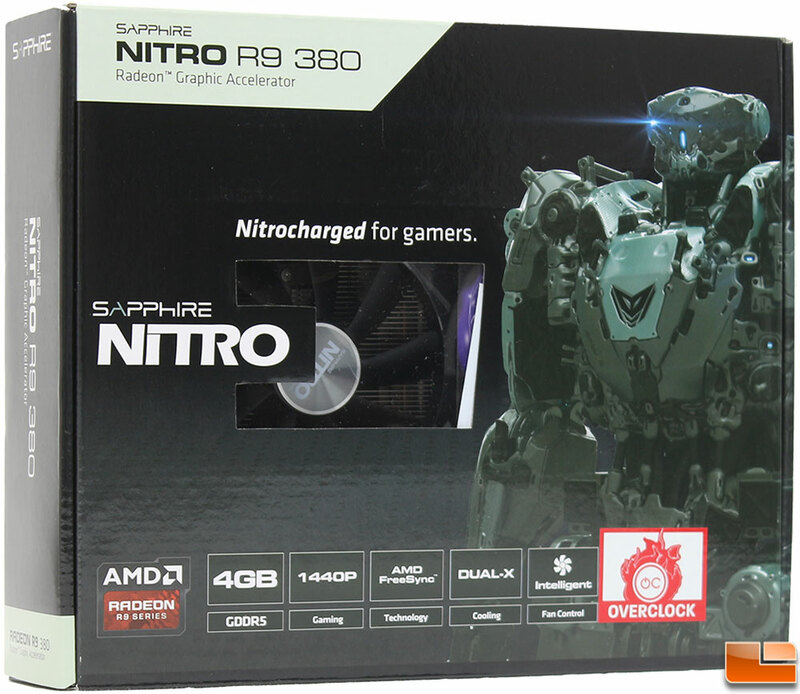 Running the Nitro 390 CrossFire mode, you will want to have a 1,000W power supply. Along the top edge, there are no fancy LEDs, however the 390 does include the Sapphire dual BIOS which is activated with their S button.